Believe it or not, the reason she jumped out of the rear door of a moving school bus is because it is a well-known tradition in the area for students to do this on the last day school each year. However, one school official said that while the acts do occur, they are not a tradition at this particular school. He said he is hopeful that other students will learn about the dangers of jumping out of moving school bus and not repeat this same behavior each year. 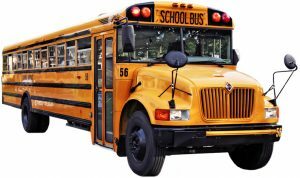 It should be noted that neither the school district, nor anyone in connection with the school bus operation, has been formally accused of any negligence in this matter or for being liable for the child’s potential traumatic brain injury (TBI). One thing to keep in mind is that even when a child does something they shouldn’t have done, it does not mean that someone else is not responsible, other than the child’s parents. For example, everyone has heard about the very high publicity situation where a toddler crawled under the fence at gorilla enclosure at the Cincinnati zoo and fell into the moat. When the child was in the enclosure, he was approached by a gorilla weighing over 400 pounds, and the zookeepers ultimately decided they had no choice but to shoot and kill the animal, which is what they ultimately ended up doing. This brought out much public outcry. Many people blamed the mother for allowing the child to crawl under the fence. However, those who have young children, especially more than one have come to her defense and argued how hard it is to watch a child for every second of the day. Many others complained that that zoo should have used a tranquilizer instead of killing the gorilla. However, as said in their defense of this issue, unlike on television and in the movies, it takes up to 30 minutes for a tranquilizer dart to put such a large animal to sleep, and that is obviously not a proper solution, especially if the animal gets mad after being shot with the dart. Finally, some are blaming the zoo for allowing the child to get under a fence, and not designing the barrier better when they knew small children would be around. While there has not been a formal claim of negligence in this case either, it is possible such a case could be brought. In the case of a child who jumps off the back of a bus, if school officials knew kids did this each year, they might have some responsibility to take precautionary measures. However, as Boston personal injury attorneys can explain, when suing a municipality or school district, the doctrine of sovereign immunity may complicate the matter, and you should discuss this during your consultation.